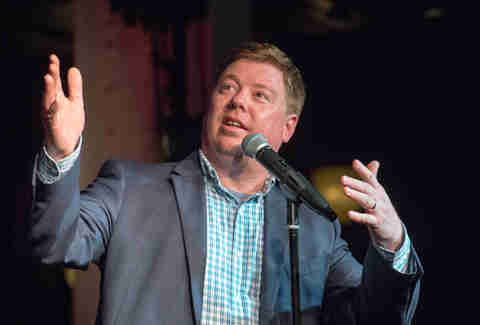 Perspiring from the hot stage lights and the constraint of his gray sport coat, Joseph Cranford addressed the crowd at the Chicago Magic Lounge in a blustery manner, more like a soapbox orator than a seasoned illusionist wielding a polysyllabic patter. The gusto helped warm up the tepid audience, which seemed unsure of what to expect. Before diving into a history lesson, Mr. Cranford asked the out-of-towners where they were visiting from. “Milwaukee.” “Kansas City.” A handful had responded. Next, he asked the locals what neighborhoods they lived in. “North Center!” “Ravenswood!” It was a deluge. “See, that’s how you know you’re in Chicago,” he quipped. 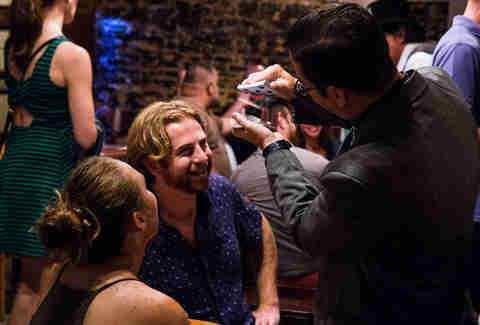 As the producer and host of the Chicago Magic Lounge, Cranford aims to transport guests to the heyday of Chicago bar magic, which birthed the popular Chicago style. 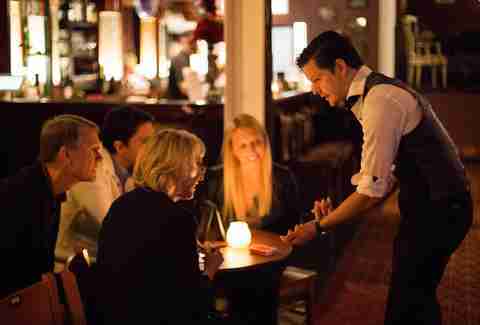 Unbeknownst to many, it’s a style that has since spread all over the world; its adherents usually break the fourth wall, eschew smoke and mirrors, and perform up-close tricks in a conversational manner. Basically, it’s the opposite of whatever mindfuckery Criss Angel has summoned from the eighth circle of hell. The Chicago style is more closely related to the work of the incomparable Ricky Jay: prestidigitator extraordinaire, scholar of the arcane, Hollywood actor, and world-record card thrower. Or, perhaps more famously, the street-prowling levitator David Blaine. But before Hollywood caught a whiff, it was pioneered right here by local bar magicians such as Matt Schulien, Heba Haba Al, and Don Alan. The stage show features the kind of magic most people are familiar with, the kind they’re likely to see in Vegas or on America’s Got Talent. Performers make cards appear inside pieces of fruit, mend torn-up dollar bills, rip off their shirts to reveal impossibly shredded midsections before deadlifting a Cadillac and mind-freaking onlookers. (OK, maybe not that last one.) Headlining talent has also been improving, since the lounge has invested in attracting bigger names. 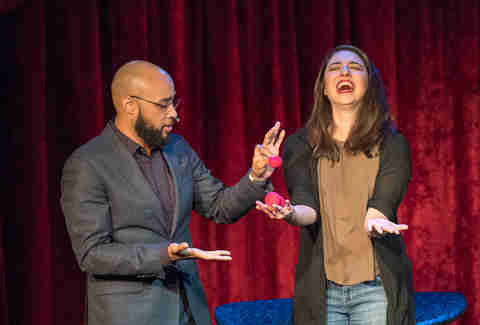 The goal is that these better-known performers will help spread the word about the Chicago Magic Lounge in other communities, and it’s the same strategy that comedy clubs such as Zanies employ. Meanwhile, the local community has grown to more than 50 club members and about 35 active performers. 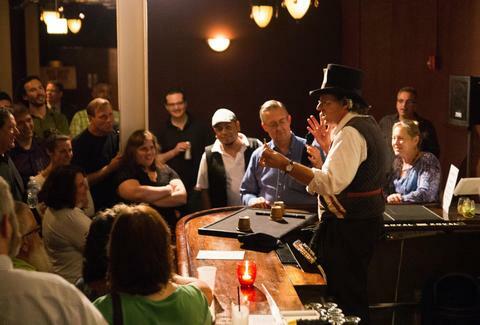 The lounge not only offers unique entertainment, it also provides a space where magicians can work on and showcase their skills. This is important, because even though beginners can find plenty of instructional material on YouTube and Amazon, coveted secrets aren’t so easy to come across. They’re often buried in dusty, expensive collectors’ books, which sit on the shelves of places like Magic, Inc., a Ravenswood magic shop. The rest are locked away inside the minds of veteran magicians. They are the keepers of secret knowledge. Herein lies the not-so-secret recipe for great magic: It should feel real. At the Chicago Magic Lounge, this is just as true for the magicians as it is for the audience. To better understand the phenomenon, consider the work of LA-based artist Samara Golden, who constructs over-stimulating environments that recreate her version of a sixth dimension. (Think M.C. Escher doing a cover for Dwell magazine.) She’s an appreciator of magic, and a fascination with the practice has guided her work. In her art, staircases lead to nowhere. Mirrors amplify depth. Gravity is but a horizon. “I have to believe in the realities I’m trying to create and only after that can it start to mean something to anybody else,” she explains for The New York Times. Similarly, the Chicago Magic Lounge isn’t so much a physical structure as it is a reality that magicians have invited the audience into. “The show begins when you walk in,” reveals Cranford. “The show is the theatrical presentation of a magic bar.” The whole evening is essentially one big performance, and during it, magicians must believe in what they’re doing for it to feel real for the spectator. And when the spectator gets lost in the moment completely, even for a second -- that’s it. That’s the real magic. Raf enjoys a good magic trick and never leaves the house before stuffing a rabbit inside his top hat. Follow him @RafFoSho.